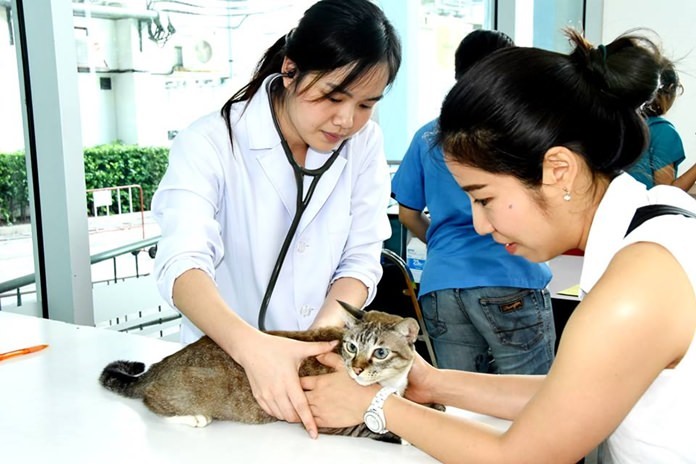 Bangkok – The Department of Livestock Development has declared 22 provinces, including Bangkok, temporary rabies zones and urged people to have their pets vaccinated against the disease. The 22 provinces are Surin, Chon Buri, Samut Prakan, Chachoengsao, Nan, Buri Ram, Ubon Ratchathani, Chiang Rai, Roi Et, Songkhla, Rayong, Tak, Si Sa Ket, Maha Sarakham, Nakhon Ratchasima, Trang, Prachuap Khiri Khan, Amnat Charoen, Yasothon, Samut Songkhram, Nonthaburi and Bangkok. The presence of rabies in these provinces is of concern, said the department. The department has recommended that pets such as dogs and cats are vaccinated for the first time, when they are 2-4 months old and then every year as scheduled. The department warned that people should avoid animals with abnormal behavior and urged them to immediately contact the department at Hotline 1422 if they find dead dogs, cats or any distressed mammals.